The utility of solar power might be wide spread, however, its true beauty lies in illuminating the darkness. We were able to successfully display this beauty in our recently completed project. We have successfully given uninterrupted power and uninterrupted water to 3 tribal girl's schools near Rajahmundry, Andhra Pradesh. The Govt has provided good infrastructure for the students in the tribal areas. I believe the better allocation of funds and good roads are two major reasons for this development. However, continuous power outages is a major bottle neck for improvement in quality of life for students in the hostels of the tribal schools. Fundamentally, electricity from the grid is used for providing lighting, fans and computers during the day and to drive the water pumps. Apart from this there is usually an RO System in the school which works on grid power. All these gets affected during power outages leading to low productivity of the student. We approached the right authorities with a proposal for using solar power to improve the conditions of the students at these schools. In our initial survey, we observed that the students fundamentally needed lights during the evening for their studies and water to be pumped to the overhead tanks for use in bathrooms / kitchens. Rest of the activities could be adjusted in whatever grid power is being given to the schools. 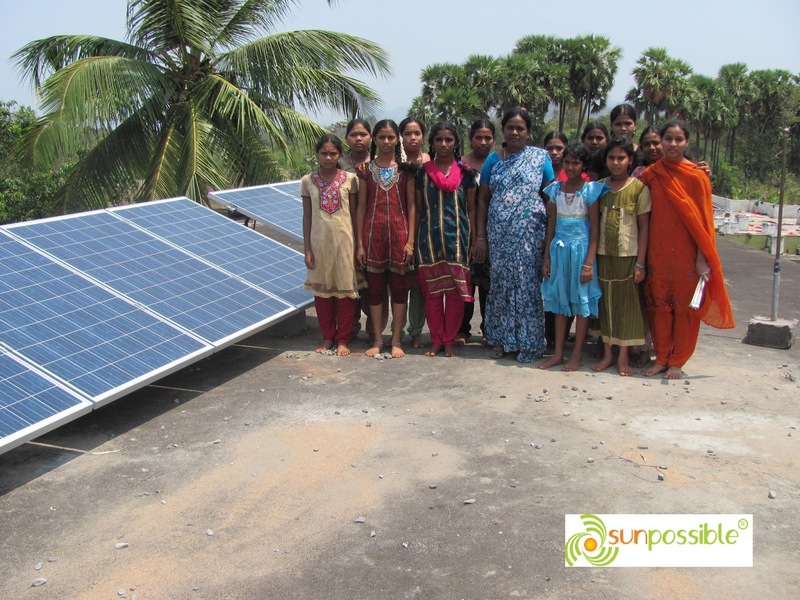 Accordingly we proposed the Solar Water Pumping and Solar PV Rooftop System for the schools. Working in the rural is not a very easy task considering the sever limitations of transport, people and mobile signals. Precise planning, procurement and robust execution is essential. Any mistake done during installation due lethargy or "chalta hai" attitude can become detrimental to you on account of recurring maintenance works. Every single student of those schools is our customer and we owe them a system that fulfills their basic needs with least possible interruption. More the mistakes, more is the failure rate of the system leading to spiraling expenses during the maintenance period. Meticulousness and good quality installation is an investment to maximize returns especially in projects executed in rural regions. On the last day of the last site that we worked on, we felt the sweet taste of success. We were looking at about 100 girls sitting in the study area at around 2000 hrs studying for the next day's exam while the areas around the school were under the blanket of darkness. I could see the impact of the solar PV system on the productivity and learning of the students of the school. It was a moment of instant gratification and sense of achievement of our vision behind the project. In case of these tribal schools, uninterrupted power is not only about illuminating the darkness. It is about creating an opportunity that never was. It's about giving flight to the wings. The pleasure of not fearing to have to live in darkness and having water running from the taps or flushes at any time is a luxury in the places we have worked. We look forward to doing further such projects where we keep spreading the real beauty of Photovoltaics.